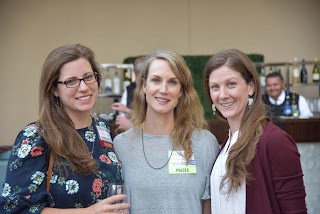 Lauren Valencia, LMSW, Leah Bowen, APRN, and Ellie Kenemer, APRN at Clinical TMS Society Meeting in San Diego. Lauren Valencia LMSW spoke this year on a TMS technician panel at the society’s annual meeting. Her role is unique nationally in that she is a licensed therapist offering TMS as well as therapy during a patients course of care in our office.